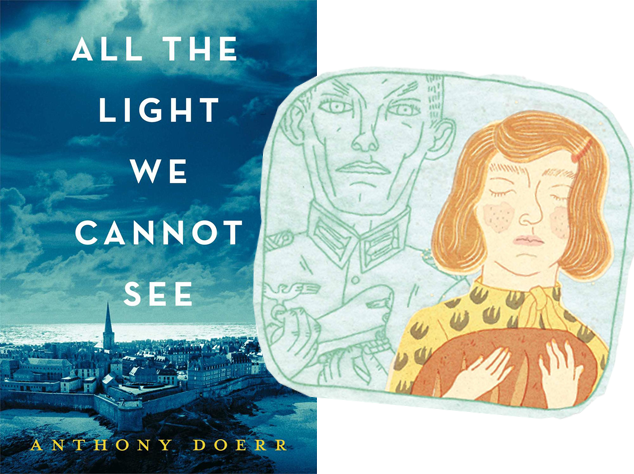 World War 2 fiction and I are reunited once again in the form of the novel, All the Light We Cannot See. This book was an interesting read because you get to see the war from two points of view - through the eyes of a young German soldier and, ironically, through those of a blind girl in France. Their stories end up crossing paths later on in the book and that intersection is beautiful but fleeting. I think being able to read about the war through two very unique perspectives was my favorite part of the book. I was particularly taken with the German soldier's view on the war. It is hard for World War 2 novels to paint Germans in any other light but a horrible one, however, I found myself feeling sympathetic for this novel's protagonist. That feeling came as a surprise to me but also made me re-think my preconceived assumptions about that time. I think this novel is not only for the World War 2 buffs out there but for everyone. The conclusion of this book review is pretty simple - read it.